This text is a contributed work by well-known athletic trainers and educators, written under the direction of Dr. William Prentice. Although it is certainly true that therapeutic modalities are important and necessary tools that should be used in dealing with physical problems of all varieties, this text deals specifically with why and how these modalities are best used in the treatment and rehabilitation of injuries related to sport. 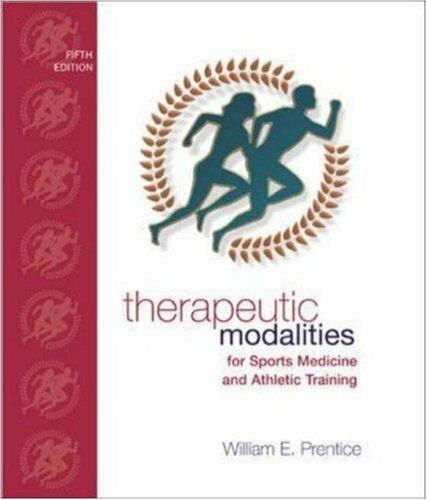 This Fifth Edition of Therapeutic Modalities In Sports Medicine and Athletic Training includes in depth information designed specifically to satisfy the competencies and proficiencies established for formalized instruction in the use of therapeutic modalities by the Committee on Accreditation of Allied Health Education Programs (CAAHEP). The competencies and proficiencies, identified in the Athletic Training Education Competencies appear under the major domain of Therapeutic Modalities. Each of the educational competencies and clinical proficiencies identified in this document has been covered in detail in this text.